This post tonight will not be nearly as entertaining as last night, which is a good thing. Poor King Hock is sitting next to me on the bed right now with his swollen leg propped up. I had some laughs this afternoon as my boys dramatically reenacted the attic falling scene over and over again. The funny part is that they were downstairs and didn't even see it. The older one also tried to recreate the noise KH's fall made, first he clapped his hands (not loud enough), then stomped his feet (still not loud enough), and finally he picked up a toy and banged it on a table. I'm worried they might be scarred for life. With all of this hot weather outside and hot inside my house (the A.C. peeps are coming tomorrow! ), I wanted to make something light and refreshing for our dinner tonight. Hence, I made Fish Tacos. They were absolutely delish. 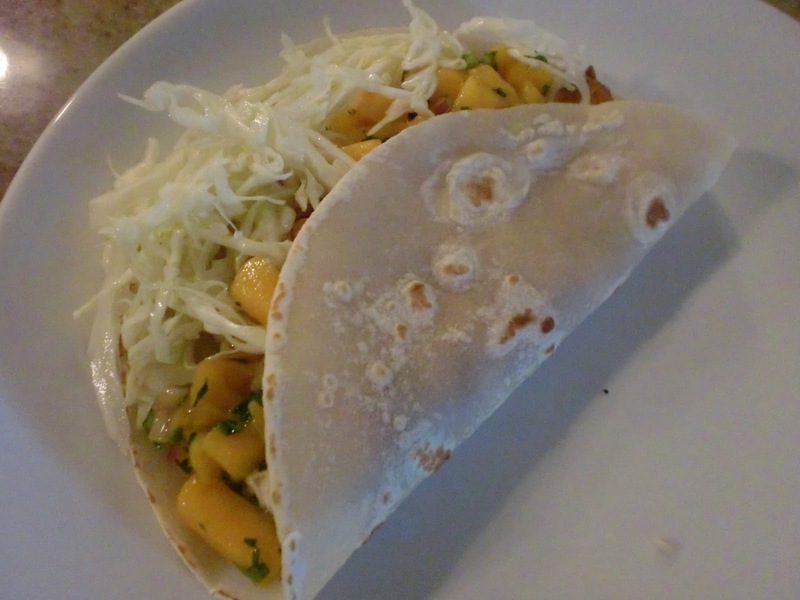 I filled a flour tortilla with Chili Tilapia, Mango Salsa, Guacamole, Shredded Cabbage with Lime, and sour cream. On the side I made Mexican rice, and roasted asparagus. I'm still licking my lips. To Assemble: Lay out a tortilla, spread a dollop of sour cream in a line down the center, add a few dollops of guacamole. Add 1/2 piece of Tilapia, some mango salsa, and a small handful of cabbage. 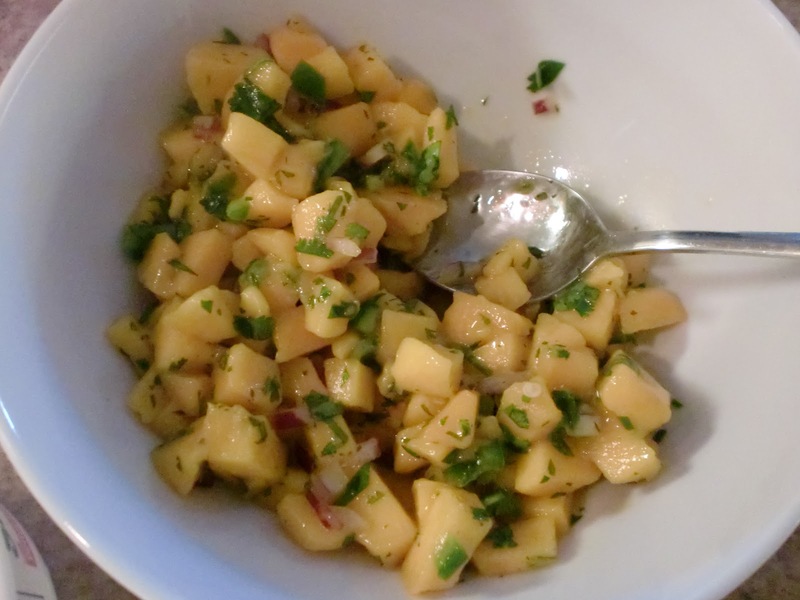 To make the marinade, place the oil, cilantro, jalapeno, chili powder, lime juice, and salt in a medium bowl. Mix to combine. Put the fish into a large Ziploc bag. Pour in the marinade. Marinate for 20 minutes to an hour in the refrigerator. Preheat the oven to 400 degrees. Line a baking sheet with parchment paper, and remove fish from baggy and place onto parchment. Bake for 30 minutes or until it is done and flakes easily with a fork. Mix all of the above ingredients together in a small bowl. Cover with plastic wrap and refrigerate until ready to serve. This is how I whip up guac on a whim. The most important part to making a yummy guac, is tasting it to see what it needs. Adjust the seasonings to your liking, just be sure to add a little at a time. 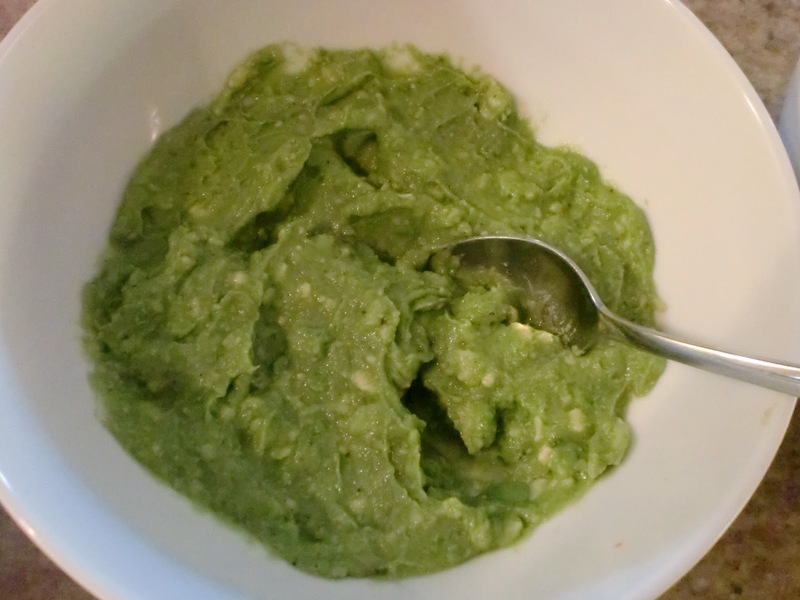 Mash the avocado in a bowl. Add the lime juice, salt, pepper, garlic powder, onion powder, and hot sauce. Mix until smooth and combined. Taste and check for seasonings.